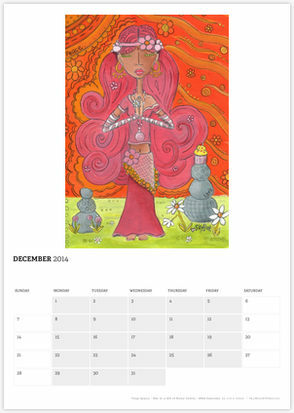 Still time to win a groovy art calendar on Facebook! 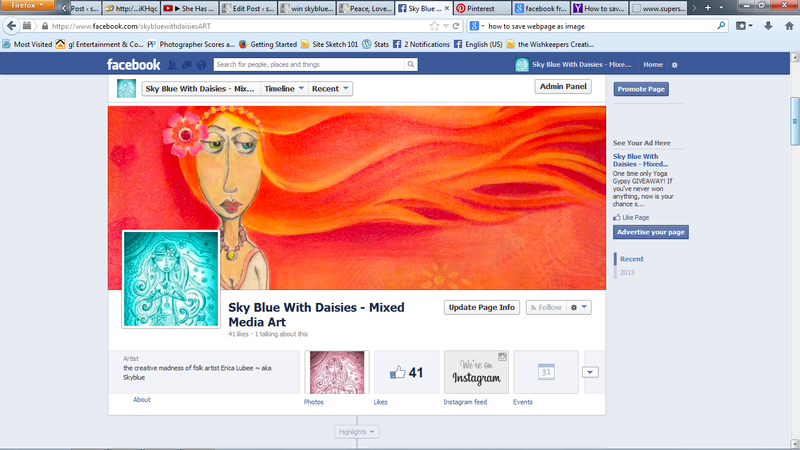 Don’t forget to stop over at the Sky Blue With Daisies Facebook page, and like the Dec 9th Post for your entry! Deadline is Thurs Dec 12th at noon. You may be tired of hearing about Yoga Gypsy, but it’s hard to explain how much of my heart dwells in her. It’s like that with my art sometimes. Besides, I’m hoping you can bring her home for free! 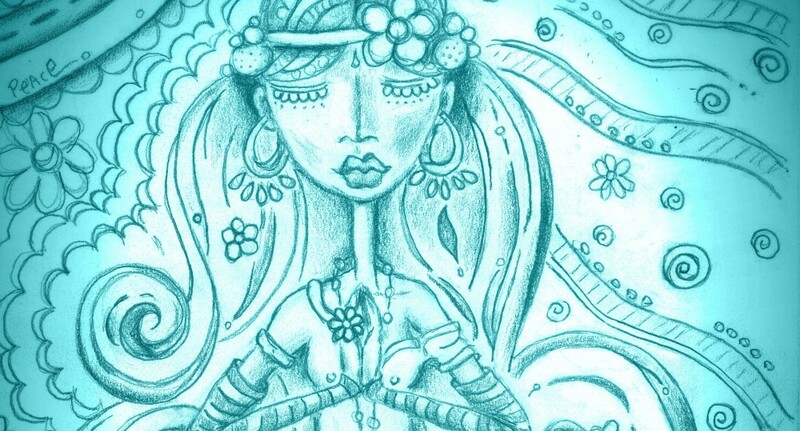 And you can learn a little more about Yoga Gypsy here! So I have been struggling with this Facebook thing. The whole, get a fan page, and get as many people as you can to “like” your witty posts. I mean, what is that? It could be rejection on a silver platter. Ain’t nobody got time for that. But I went ahead and I started a page despite my fears. It’s all very new and uncomfortable for me. I enjoy making art. I make it to hopefully share it. Facebook is a pretty reasonable place to find people to share it with. It will be lovely if people buy it someday, but the beauty of the internet, whether you are on Facebook, WordPress, Instagram… is the opportunity to share it with the world… right then and there with a little button. Someone might see something I make and smile, and that alone is awesome. I think about all the art I’ve had a chance to see, that I would not otherwise in my daily life. If it were not for the internet, the only art I would see is the occasional crayon ravaged Sponge Bob ripped from a coloring book in my neighbors cubicle. No, I’m exaggerating. There’s actually one coworker’s 6 year old I’m hoping to commission pretty soon. There is nothing better than kids art! i just really enjoy variety and you don’t get that in the middle of Connecticut. Facebook has been one of the many places online that has offered this variety and opportunity to get a glimpse of the most amazing art, writing, and photography. 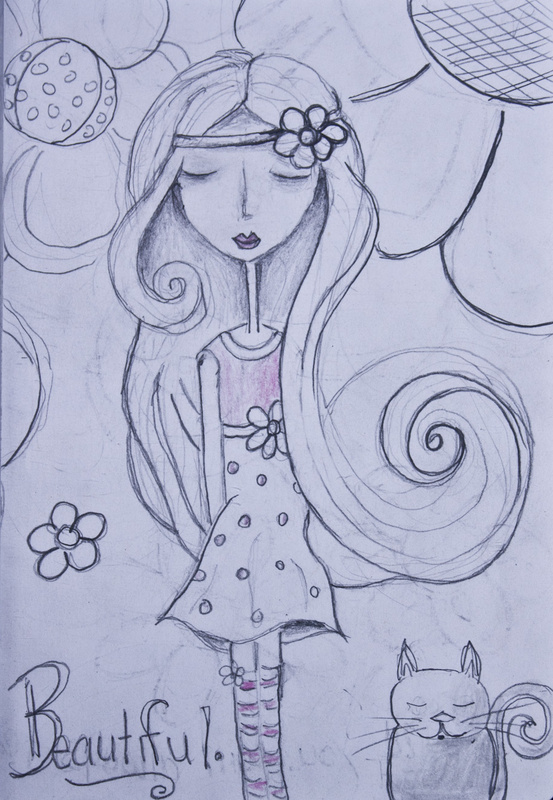 Simply stated, I love art… I love other people’s art, and I love to share my own art. I love what art does for people, dwelling spaces and communities. I’ve been sharing my art, writing and I-phone photos here on this WordPress blog for a few years now, and this is really my home online. People are nice here. I love to find other writers and artists on Freshly Pressed and the tag cloud. Checking my Facebook has typically been pretty random for me, as opposed to being a daily ritual. But I hope the page will be an extension of sbwd somehow. I am offering to give away a calendar to my Facebook visitors this week. 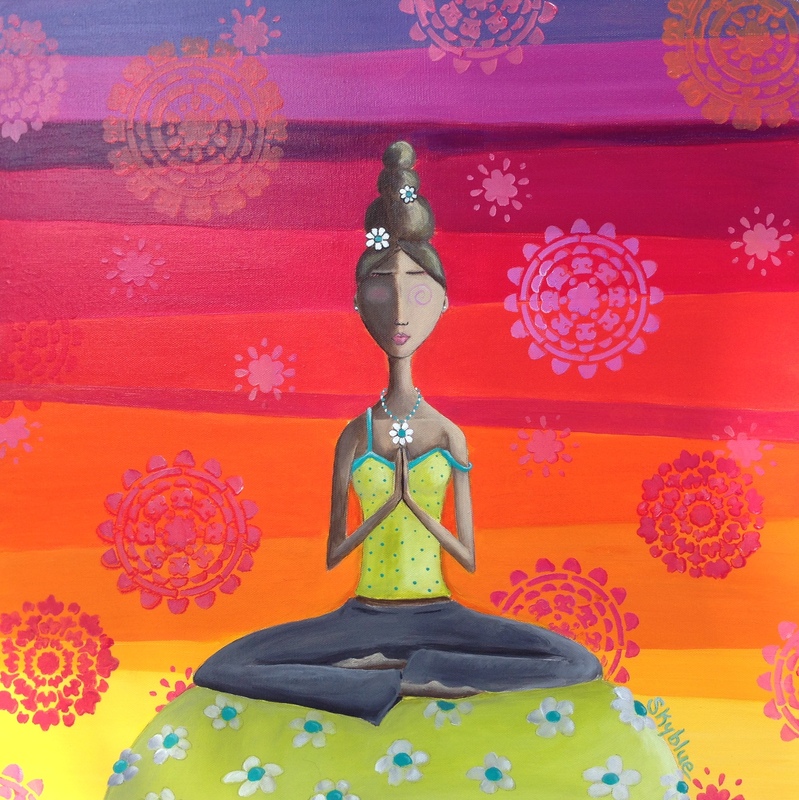 It features the super sweet Yoga Gypsy in a rainbow of colors. 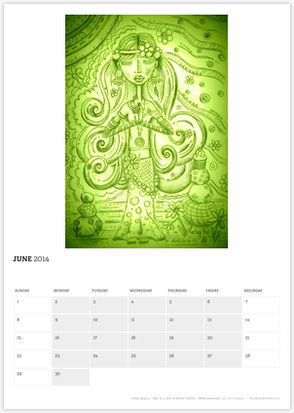 Would you like to win a free Yoga Gypsy calendar? It’s easy..
1. Visit my Facebook page. 2. 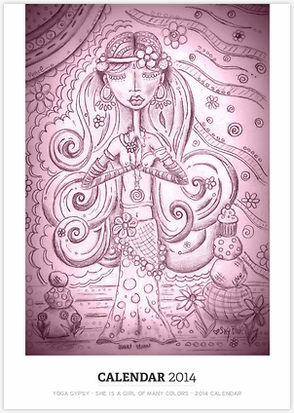 Like the December 9th Yoga Gypsy Post. 3. Check back on Thursday December 12 for the winner announcement.